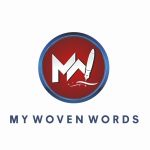 It’s Saturday again, welcome to Woven Recipes! Meyan Geda (groudnut soup), kuli kuli, Tofu (Awara), Kilishi, and many more. Northern Cuisine seems the least understood of all the cultures in Nigeria. The reason behind this I don’t know, considering a lion share of the food consumed in Nigeria is grown in the North. As far as cooked food goes, Suya and Kilishi are their biggest food exports. Kunun and Fura drinks are also common and there is Rice Masa which many may be familiar with. Add Tuwon Shinkafa and Tuwon Masara to the list, and I think that pretty sums up the knowledge about Northern Cuisine for many people. Slice both onion and 2 scotch bonnet peppers, and set aside. On low- medium heat in a large stock pot, braise the goat meat with the sliced onions, scotch bonnet peppers, 1 tsp bullion and 1 tsp salt for 30 minutes or until the meat is tender. While the meat is braising, blend the tomatoes, bell pepper, 1 onion, and two scotch bonnet peppers. Place the blended tomato mix in a pot and cook on medium heat until the sauce reduces down to a thick paste. You might need to reduce the heat to prevent the tomato paste from burning. Once the meat is tender and done braising, add in the pumpkin chunks and 2 cups of water into the pot with the braised meat. The water should just cover the pumpkin chunks and meat. At this stage, adjust the seasoning of the broth and water that the pumpkins. Cover and boil for 15 minutes or until the pumpkin is tender. While the pumpkin are cooking, grind the peanuts in a blender, food processor with a mortar an pestle until it forms a rough paste, and set aside. Once the pumpkins are tender, use the back of a spoon to smash the pumpkin chunks, add in the crushed peanuts, tomato paste, cray fish, and bullion and stir the stew. Cover and cook for 5 minutes on low- medium heat. After the stew has cooked for 5 minutes, add in the palm oil, chopped spinach and chopped sorrel, and cook the stew covered for 10 minutes on low heat. After 10 minutes, taste the stew for seasoning and adjust the salt if necessary. Turn the heat off and allow the stew to sit for 5 minutes, then serve hot. This delicious pumpkin stew locally called Miyan Taushe is native to the Northern Nigeria and is commonly eaten with fufu/swallow, rice, and even naan bread. Your opinion really matters, please drop your comment below.